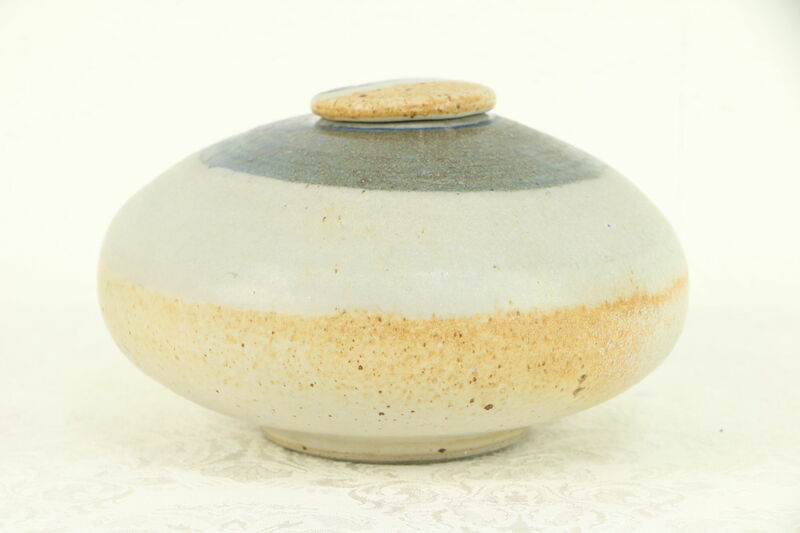 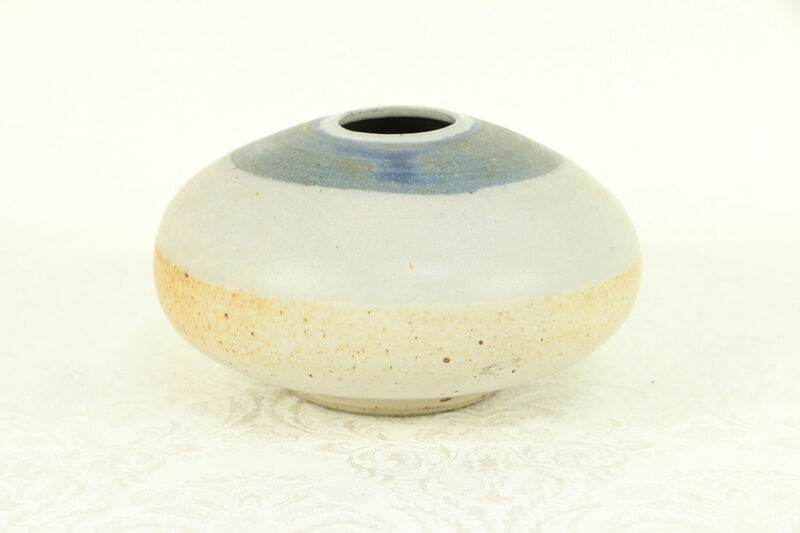 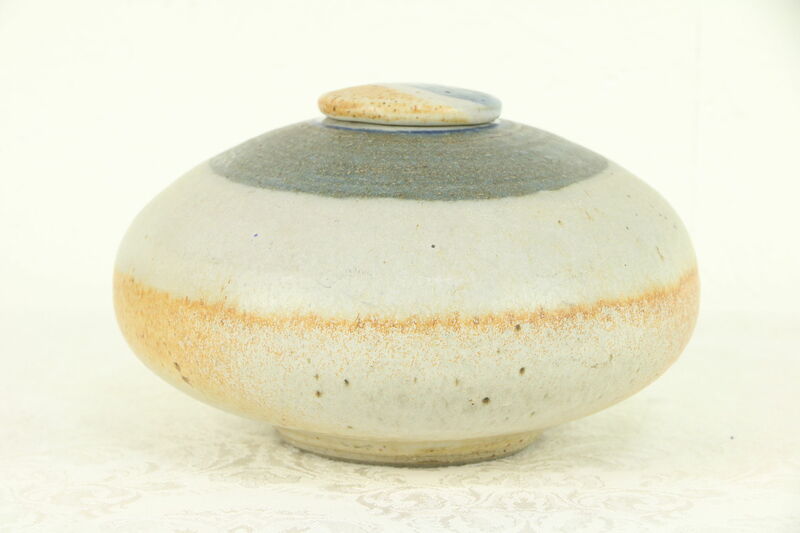 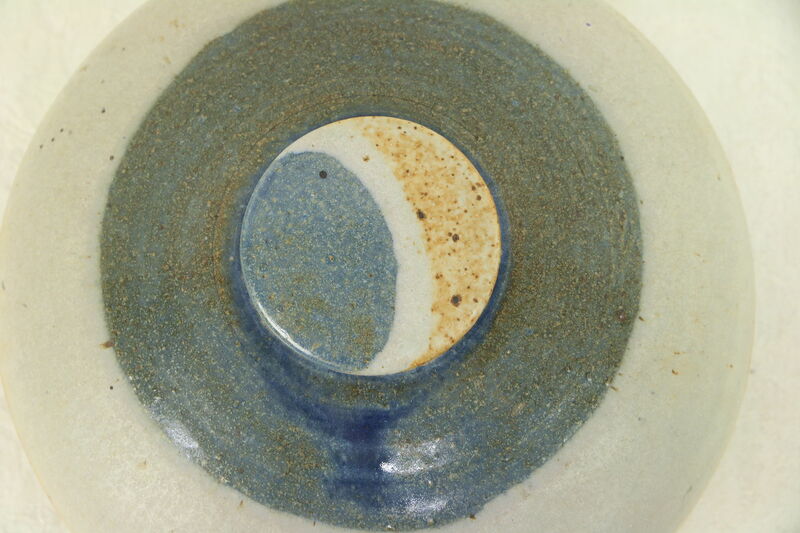 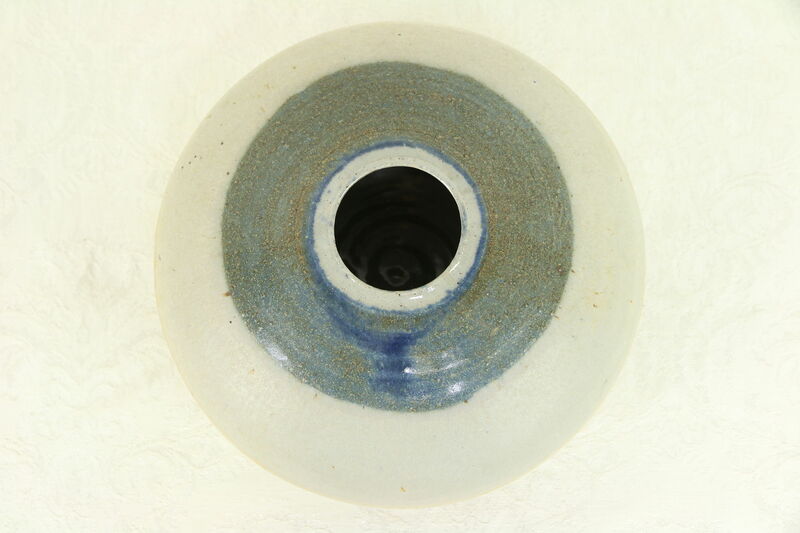 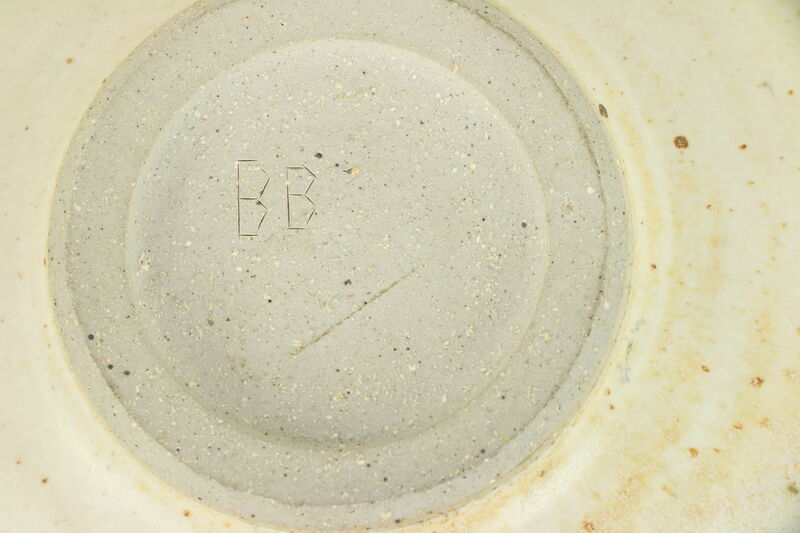 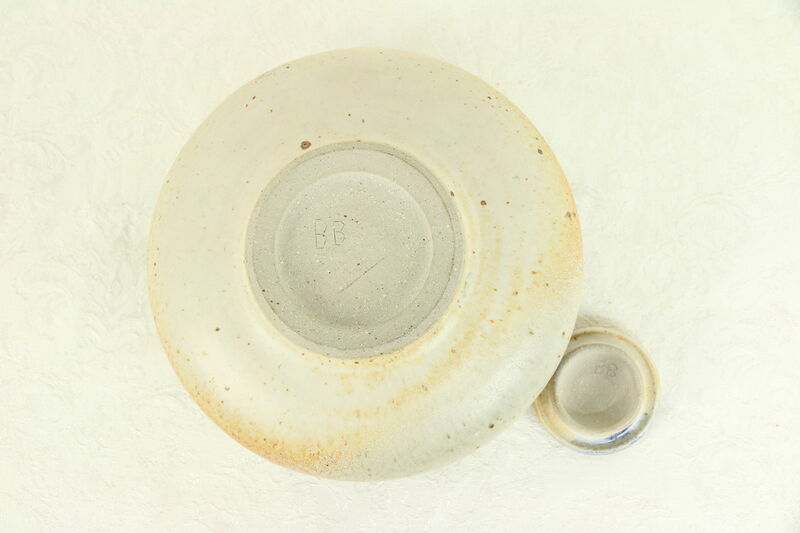 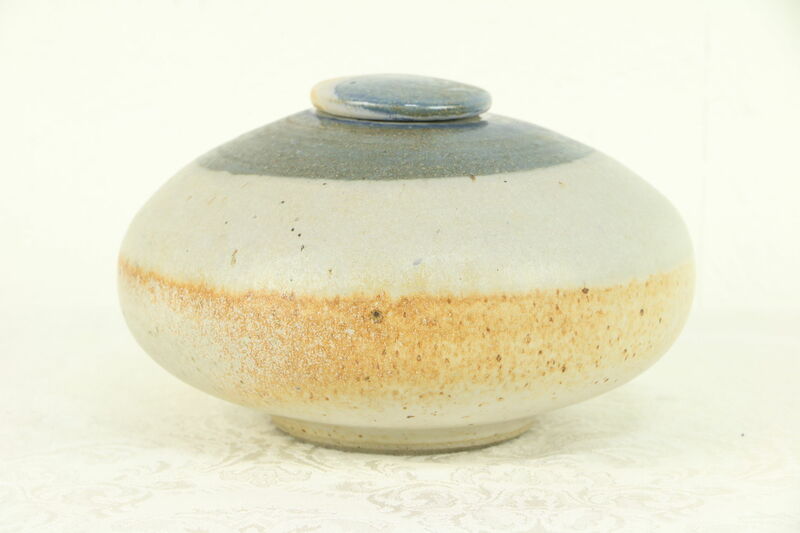 A contemporary stoneware vessel with lid has a light toned glaze, signed "BB" for Wisconsin artist, Bruce Bodden. 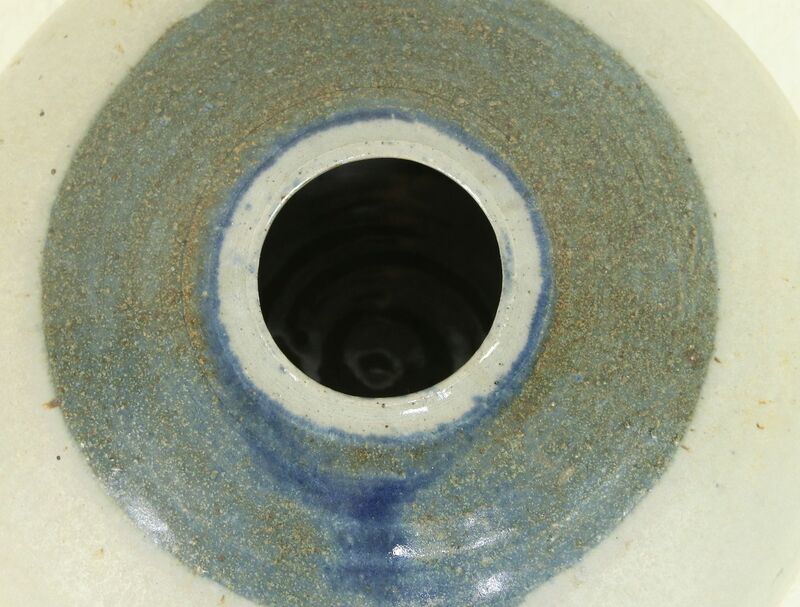 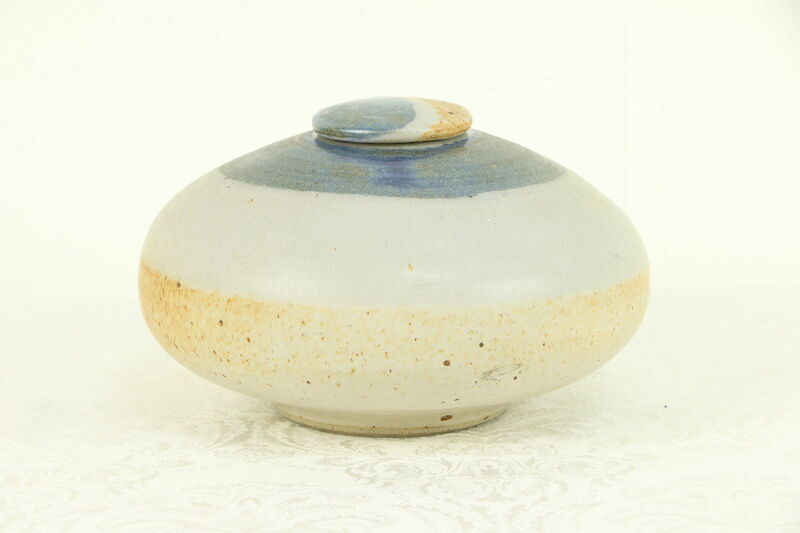 The high fired pottery jar and cover has sumptuous colored glazing. 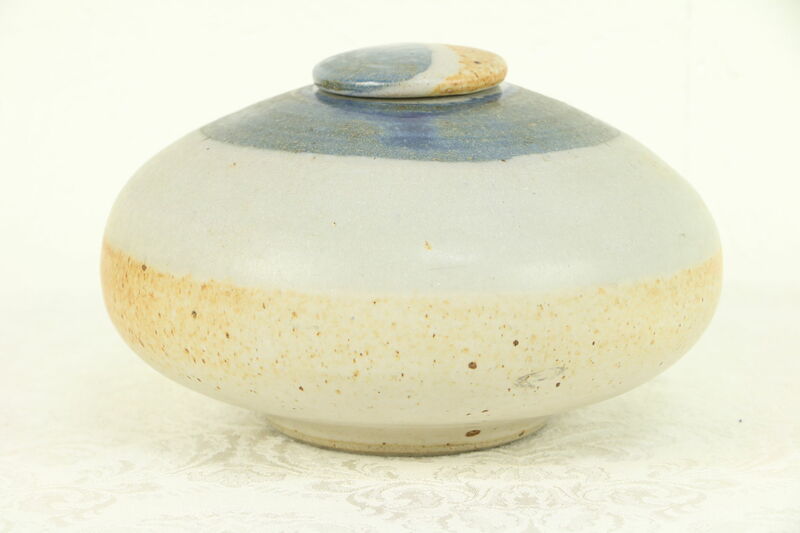 This art pottery measures 8" across and 5" tall.